I came across a blog post by Michael Johnson and could not pass up reposting it. 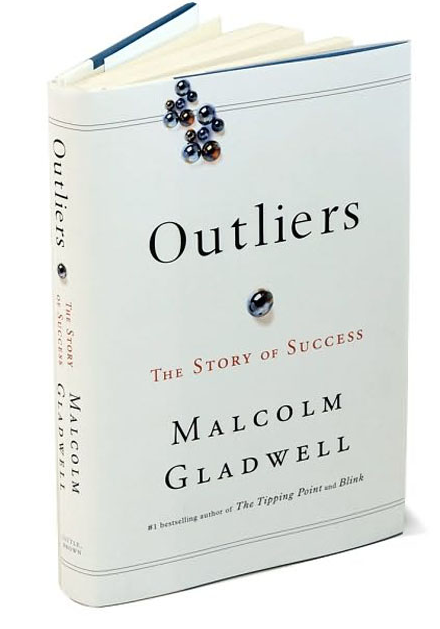 It reviews the latest book by Malcom Gladwell best selling author of "Blink" and "The Tipping Point". It supports the point that "genius isn’t necessarily born, but cultivated by circumstance, luck and good old-fashioned hard graft…" He sites the careers of Bill Gates, the Beatles, Wolff and Olins and others to compare the qualities that successful people have in common. But the thing I found most interesting is that he recognizes that in this fast paced – gotta have it now world – Graphic Designers emerging from art schools will find the point that it may take 10,000 hours before they start producing notworthy work hard to swallow. I can attest to this because I teach young emerging graphic designers. Here is the link: 10,000 hours of graphic design? – the johnson banks thought for the week.